RODNEY P’s career to date demonstrates how far imagination may be utilised as a bridge for a determined individual confronted with scarce opportunities. 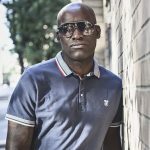 There were few fortunes to be made in British hip hop during the 1980s, but South London based Panton was recruited by founding member, Sipho the Human Beatbox, with Bionic and forged himself a reputation as ‘da riddim killer’. 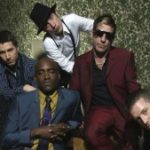 Legend claims that the aggregation of youngsters who were invited by The Clash’s Mick Jones to support Big Audio Dynamite, (Jones and Don Letts’ alternative multi genre band), on a nationwide tour of the United States and Canada did not even have a name so dubbed them the “London Posse”. The title was derived from Americans who felt the term best described the collective of Brits whose attempt to interest Americans in their own brand of hip hop apparently resembled the attempts of the entrepreneur who sought to sell coals to Newcastle. Although the group’s return to Britain resulted in the release of their first single, London Posse, with Tim Westwood, it quickly became apparent that there was a glass ceiling that would only allow a crew of black English teenagers to progress just so far. Biznezz and founding member Sipho left the group after the debut single, leaving Rodney P and Bionic to record further singles on Westwood’s Justice label and short-lived Island subsidiary Mango (which also released their sole album Gangster Chronicles in 1990) and tour in support of acts such as NWA and Soul II Soul. 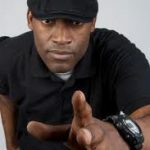 Following Bionic’s stylistic shift into drum ‘n’ bass in 1996, the former Rodney Panton spread himself as widely as the narrow British hip hop scene would allow. To this end he collaborated with Low Life records to launch his own Riddim Killa imprint and distinguished himself in collaborations with the likes of The Nextmen, One Mic, Mystro, Roots Manuva, SkinnyMan and Dynamite MC, as well as Roni Size, Benjamin Zephaniah, Bjork and Nitin Sawhey. As Rodney P, Panton networked and marketed himself as a singular entertainer and excelled as a dealmaker who won a recording contract to release his album, The Future, with Big Life records. 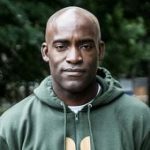 Rodney also appeared on The Prince’s Trust Concert alongside Jay Z and Alicia Keys and the United Nations Charity Concert alongside DJ Jazzy Jeff, Dead Prez and Mos Def. Key among his collaborations has been the association he formed with DJ Skitz; Rodney has appeared on both of Skitz’s albums and the duo developed a chemistry which led to the pair being commissioned to host a popular show on BBC Radio 1Xtra 2002 and 2007. 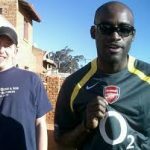 Rodney then went on to distinguish himself as a radio and TV documentary presenter, in Johannesburg concerning post-apartheid South Africa in America to explore the influence Hip Hop had on his life and back in England where he examined the role of Pirate Radio in London. In 2017, Rodney who is now recognised as a bona fide cultural ambassador of Black Britain teamed up with his “Sensei” Bionic for a series of shows as part of a London Posse reunion titled ‘Sipho Forever’.